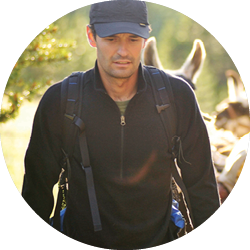 The most remarkable quality of llama fiber clothing is its ability to insulate against cold and simultaneously dissipate perspiration. This is a new offering to consumers who don’t know this type of function exists and is commercially available. Llamas have no lanolin in their fiber so they dust in dusting areas (dust bowls) to condition their fiber. The dust separates the fibers to increase its insulating capacity and increases surface tension to better shed moisture. Llama fiber is hollow giving it superior warmth/weight ratio. The encapsulated loft does not diminish with compression. As llama fiber increases in diameter, so does the percentage of hollow space, so also does the warmth/weight ratio. Llama mothers do not lick their newborn baby (cria). The coat of a cria will dry without intervention, even in damp conditions. Outdoor recreation or work, Nothing Compares. 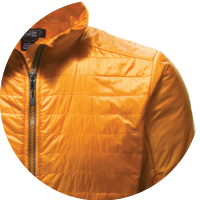 High flame retardance (will not support a flame) and heat stability (will not melt) protect the outdoorsman and the garment when near an open flame or heat. Llama fiber and fabrics have a high degree of oil resistance, acid and chemical resistance, as well as stain resistance. A llama fiber garment can be worn with confidence that incidental exposure to these agents won’t ruin it and insures enduring protection from cold and moisture. Perfect for the outdoor job site. University lab testing shows a high level of abrasion resistance as well as an amazingly high resistance to ultra violet light. High altitude sun is the most demanding environment for UV exposure and Altiplano’s clothing is well adapted given its origin on the altiplano (+/-12,500’). It not only protects the wearer, but insures undiminished fiber life and garment color in conditions that readily degrade other fibers and fabrics. 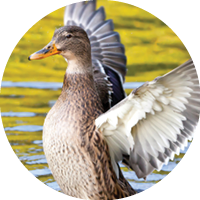 The soft, quiet fiber is particularly effective for photography, birding, and hunting/fishing. Freedom from puffy, stiff, rustling garments that betray every motion they simultaneously inhibit is a great advantage. Reduce the layers required with synthetics while staying warmer and drier. To hold body heat and simultaneously move any resulting perspiration away from that warm body requires a sophisticated fiber. Llama fiber closely matches the needs of human physiology as llamas are adapted to daily temperature swings of 50 degrees or more. The hollow fiber’s remarkable warmth/weight ratio efficiently holds body heat and gives superior cold weather insulation. The fiber is hygroscopic/water adsorbent and is constantly moving or holding perspiration at the proper level to minimize actual formation of sweat. 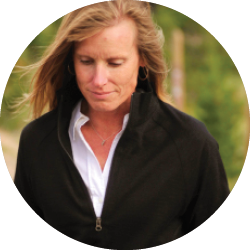 This remarkable capability reduces layering while keeping the wearer warm, dry, and comfortable. Additionally, llama fiber will shed water from precipitation and remains warm when wet making it optimum for a wide range of weather conditions. Cotton can be worn as a liner with llama fiber garments without the danger of becoming sweat-soaked, a common concern when cotton’s worn under synthetics. Cotton’s superior comfort, wicking qualities and insulating capacity, compared to synthetics, make it a viable choice to use with llama fiber garments. The nature of down garments limits their effective use as a layering piece. Down’s superior warmth/weight insulating capacity is dependent on loft. Used to layer, the garment is necessarily under the weight of a primary garment(s). The resulting compression reduces loft and warmth. The synthetic shell typically used in down garments is noisy and stiff against the wearer’s skin and causes mobility and comfort issues along with reduced wicking and increased perspiration. Merino wool requires less layering and is far more effective protection than synthetic, but it doesn’t match llama’s superior warmth/weight, abrasion and pilling resistance, or wicking ability. 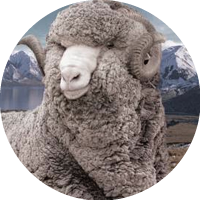 Merino wool has to undergo high impact superwashing to match llama’s natural handle and washability. Layering with synthetics is complicated. Layering with llama fiber is simple. Synthetics require constant monitoring and adjusting of multiple layers in response to minor temperature swings. Llama fiber requires few layers and maintains a static comfort level in the face of changing temperatures. Down is a superior insulator because of its high warmth/weight ratio. Its lack of cohesion dictates its use as fill inside a fabric shell to gain loft and provide warmth. A synthetic fabric shell narrows the garment’s comfort range. To prevent fill migration, baffles are sewn into the garment. Resulting seams create cold spots and allow wind penetration. Comfort is compromised by puffiness, chafing, and rustling. Down clumps when wet and drying doesn’t restore its original loft. The wearer risks hypothermia if exposed to wet conditions. Even with expensive and environmentally unfriendly dry cleaning, the longevity of down garments is limited. Down collection can create ethical problems depending on production techniques. Llama fiber is hollow so its loft is encapsulated and doesn’t diminish with compression and use. The fabric gives even protection throughout the life of the garment. Llama garments are naturally clean, washable, stain resistant and have a much broader comfort range because of their ability to insulate and wick. Comparisons of fibers, fabrics, and fills can be difficult to make because of the variability of weaves, finishes, and shell materials (down). We have noted these with the broken circle notation on the comparison charts. Wind resistance is a performance category that we have not included because it is highly dependent on the architecture of fabric weave, knit, and finish and the substrate fiber plays a secondary role. Merino is a fine grade of wool, but requires super-washing to reduce the scale that causes the itch and shrinkage common to wool garments. Acid washing followed by resin washing reduces the scale, improves the softness, and shrinkage is reduced. However, reduced scale reduces fabric strength and the altered fiber surface decreases wicking efficiency. Use of these chemical agents increases the environmental impacts of an otherwise natural, low impact product. Llama fiber’s low scale and naturally soft handle require no alteration and its wicking advantage is markedly higher. 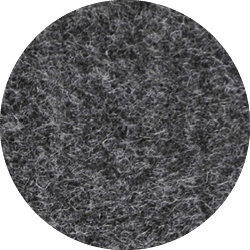 Wool is a solid fiber and has a lower warmth/weight ratio than hollow llama fiber. Llama fiber is hypoallergenic, and has a significantly higher resistance to UV light. Cotton is water absorbent and uses external heat to dry. In cold weather, perspiration soaked cotton can precipitate hypothermia. Dry cotton is a good insulator, but llama fiber’s ability to wick moisture, dry without using external heat, remain warm when wet, and higher warmth/weight ratio make it a superior cold weather fiber. Cotton fabrics are prone to damage from acids and chemicals, and they stain easily in contrast to llama fabrics that are highly resistant to these agents. Llama fabrics require far less laundering and are highly antimicrobial. Cotton fabrics are mildly antimicrobial and the frequency of laundering and heat needed to dry cotton, makes maintenance expensive. 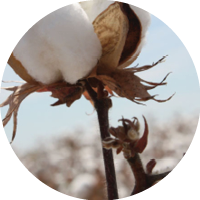 Depending on growing and processing practices, cotton can have high environmental impact. 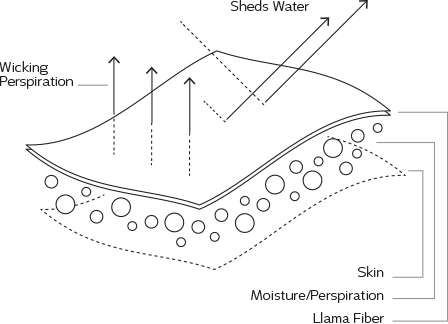 Llama fiber is hollow and hygroscopic making it a superior insulator and moisture regulator compared to solid, hydrophobic synthetic fibers. Synthetic fibers and the fabrics made with them are strong, but garments made from the fabrics lack the durability of llama fiber garments. Unlike llama fiber garments, they stain easily, do not hold up to acids and chemicals, melt at relatively low temperatures, and will burn when exposed to open flame. The fabric surfaces are not resilient and are prone to pilling thus lose their finish rather quickly. Odor is a persistent problem with synthetics as they don’t have the natural antimicrobial properties llama fiber possesses. The fabrics are produced from petroleum and are not biodegradable, thus persist long after their usable life.